Topics: "a Beautiful Time", and Azure Communications. Its 2 nameservers are ns1.nmia.com, and ns2.nmia.com. It is hosted by Southwest Cyberport (New Mexico, Albuquerque,) using Apache web server. 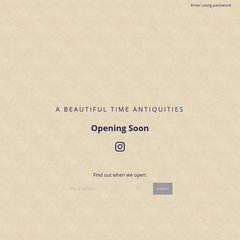 Abeautifultime.com's IP address is 216.184.2.32. PING (216.184.2.32) 56(84) bytes of data.